If we Jews are famous for anything (besides gefilte fish and wearing funny hats) it is our frugality and the joy we take in self-punishment (which is often the same thing). Despite being a bad Jew, this might explain my persistence at continuing to make macaroons, a cookie that I just don’t like. Or at least, I didn’t until I found this recipe. The way I see it, macaroons’ biggest asset is that they use up extra egg whites, which, as an avid ice cream-maker, I often have. 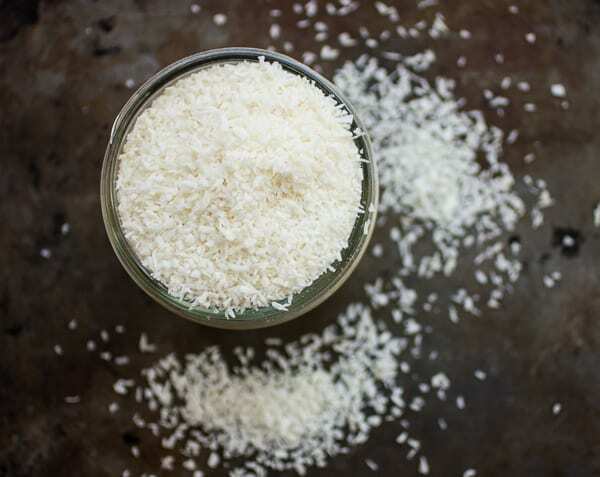 The typical recipe also calls for shredded coconut, sugar and, if you’re lucky, a touch of salt and vanilla extract. If you’re very lucky, they’ve been dipped in chocolate. They’re usually free of grains and leavening, making them kosher for Passover, and they’re often free of dairy, making them o.k. for meaty meals, too. Hence I always considered macaroons to be a sort of punishment dessert. An atonement for my sins of making (and eating) too much ice cream. An unfortunate vehicle for chocolate. In short, a shonde. 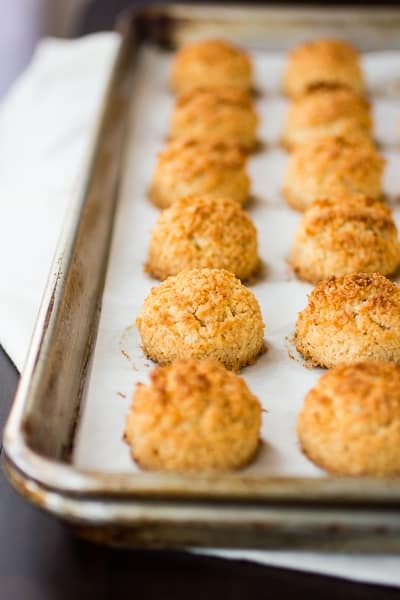 Here, Kate balances the punishmentiness of macaroons with a base of fragrant almond paste and a pour of golden, vanilla bean-infused brown butter which creates macaroons that aren’t just good, they’re a downright mitzvah. 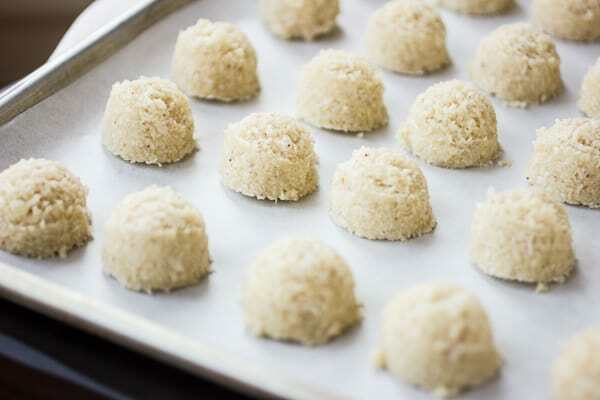 Brown butter has the bacon-like (yet kosher) ability to make anything taste better, and here, along with the almond paste, it adds a richness and moisture that other macaroons can only dream of. The cookies bake up with a crisp, golden shell which gives way to a chewy middle, permeated by the delicate flavors of almond, vanilla and coconut. They don’t even need to be dipped in chocolate, they are that good. 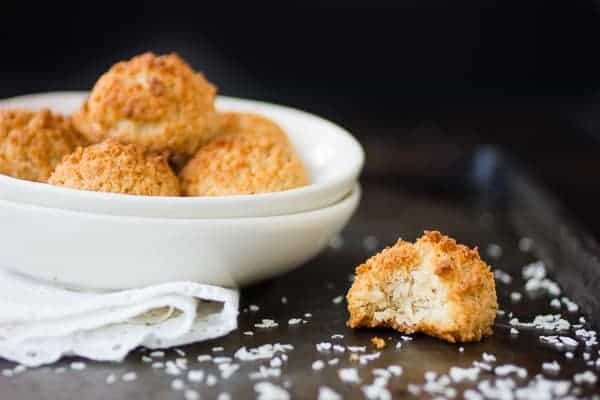 Most macaroons start with a meringue base made by whipping the egg whites with sugar, but these use a simpler mixing method in which the unbeaten whites are simply stirred into the batter. I took down the sugar a smidge (from 1 cup to 3/4 cup), and used almond flour in place of the all-purpose. They are macaroon perfection (a term which I would have previously considered oxymoronic). Make these macaroons. Because dessert should not be punishment. Not even during passover. These are kosher for passover, though sticklers will want to wait 2 hours before or after eating meat as they do contain dairy. This dough needs to chill for an hour prior to baking, so plan accordingly. 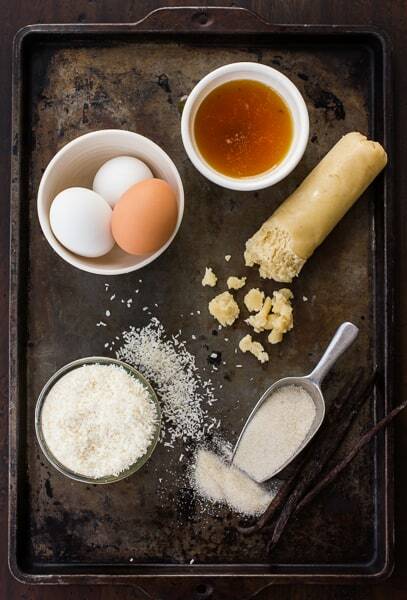 If you don’t have a vanilla bean, you can add 1/2 teaspoon vanilla extract with the egg whites instead; almond-lovers may wish to add 1/4 teaspoon or so of almond extract. All ounce measurements are by weight. If you’re looking for a way to use up the extra egg yolks, I have plenty of ice cream recipes in the archives; personal favorites include Irish Coffee, Cacao Nib and Chocolate Mint Chip. 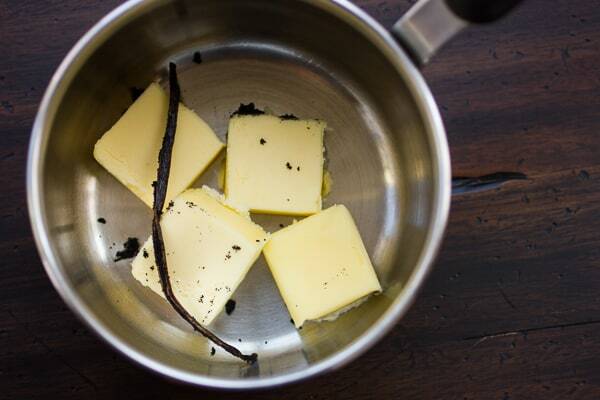 Combine the vanilla pod and scrapings with the butter in a small saucepan. Cook over medium heat, swirling occasionally, until the butter turns golden with brown flecks and smells nutty, 5 minutes or so. The butter will foam up when it’s nearly done, so watch it carefully at this point. When the butter has browned, pour it into a heatproof measuring cup to stop the cooking. 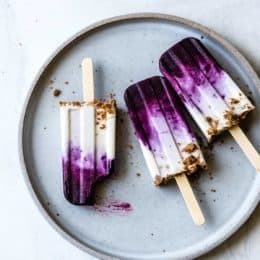 Remove the vanilla pod (you can wash and dry it and stick it in a jar with alcohol and more vanilla beans to make vanilla extract) and set aside. Meanwhile, in the bowl of a stand mixer fitted with the paddle attachment, beat the almond paste with the sugar and 1 egg white on medium speed until smooth. Add the remaining 3 egg whites, salt and coconut, beating until combined, then add the flour and beat until incorporated. Turn the mixer to low and, with the motor running, drizzle in the brown butter, mixing until the dough is homogenous. Position a rack in the upper third of the oven and preheat to 350º. Stack a rimmed baking sheet atop another rimmed baking sheet (this will prevent the bottoms of the cookies from burning, as they are wont to do) and line the top one with parchment paper. Scoop the chilled dough into 1″ balls (I like to use a #40 spring-loaded ice cream scoop) and place them 1″ apart. Bake the cookies until they’re golden all over, 20-25 minutes, rotating the pan once halfway through to ensure even baking. Remove the cookies to a cooling rack and let cool completely before storing in an airtight container at room temperature. 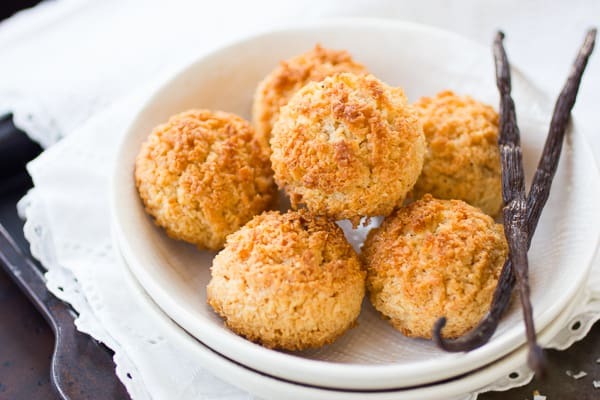 These macaroons are best they day they are baked, but will keep for up to a few days. This looks divine! On Pessach I try to avoid any contact (even eye contact) with macaroons – but you have broken the spell. 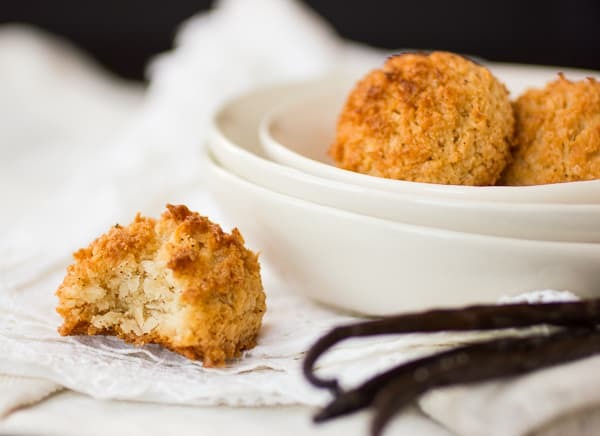 The ingredients and the recipe look way, way above the other kind of macaroon. Thanks! I actually love Passover because there are macaroons everywhere! These look amazing and I would gobble them up. There's a guy in NYC that makes amazing macaroons (he actually started making them for Passover), called Danny Macaroons. They have amazing flavors like sea salt caramel and red velvet, etc. Oooh, those macaroons sound divine! I'll check him out. 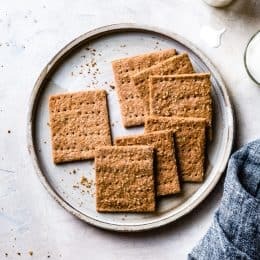 I have a mind to try making these with coconut sugar, and I think they'd also be good with maple sugar or honey. They're pretty moist, so you could likely take the sweetener down a bunch (though the almond paste also contains sugar, which I wouldn't omit). You could probably do a low/unrefined-sugar financier, too. 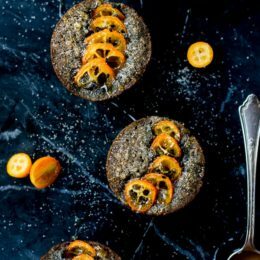 I've seen some cookie and quick bread recipes that say you can substitute 2 egg whites per egg (a banana muffin recipe in Deborah Madison's Vegetarian Cooking for Everyone, and a GF Alice Medrich cookie recipe). The chocolate pistachio torte I linked to above uses a ton of whites, and it's not very sweet due to all the unsweetened chocolate, so that might be one to play with, too. Please let me know what you come up with! Thanks for reading, and for your sweet comments. This looks great! I usually make the David Lebovitz macaroons, but will try these next. One question: do you really add the sugar and vanilla bean to the butter as it's browning? The recipe says: "Combine the vanilla bean and sugar in a small saucepan. Cook over medium heat, swirling occasionally, until the butter turns golden with brown flecks and smells nutty, 5 minutes or so." I assume that you brown the butter, then add the vanilla bean and sugar and let it steep? Would you add the vanilla seeds at this point as well? Typo! Thanks for catching that! It should be "combine the vanilla bean and butter…" The sugar gets incorporated with the almond paste in the next step. Changing that now. Thanks! Please let me know how you like them. I've never tried David L's macaroons, but god I love that man!